Climate change effects can be felt here and now, at a local, national and global scale. Becoming a Climate Ambassador will give you the opportunity and platform to do something really positive within your community. Adapting to climate change and mitigating the adverse impacts is a growing concern in every community in Ireland and our Climate Action Officers look forward to working with you on this exciting programme! 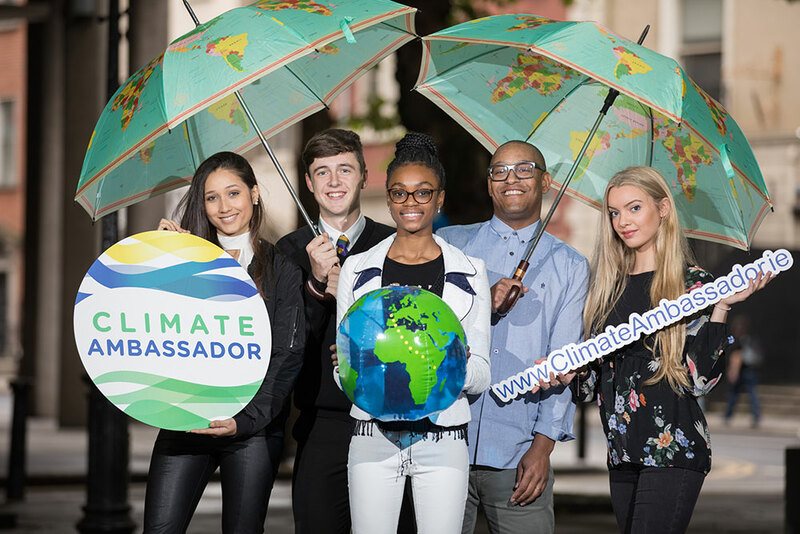 The Climate Ambassador programme is a great opportunity to become a leader in your school, campus or community and to promote positive climate actions in a local context. The Environmental Education Unit of An Taisce operates some of Ireland’s most successful environmental programmes including Green-Schools, Blue Flag, Green Campus, Clean Coasts and National Spring Clean. The programme runs for the full calendar year and during that time we will provide you with lots of opportunities to meet our Climate Action Officers, who will fully support you, and other Climate Ambassadors, to develop, share and learn from each other’s ideas and experiences. You will receive a full day of training initially which will cover the causes and effects of climate change as well as the solutions. We will also organise training from communication experts as well as tours and workshops throughout the year. You will be required to carry out at least four actions within your community/school/campus. With our support and advice, you could organise a local Climate Conversation event; or set-up a radio interview with your local station. We will have plenty of simple, yet effective ideas and look forward to hearing yours! You will be asked to compile a brief report about what you have been doing during your time as a Climate Ambassador. All participants will receive certificates for their work and Climate Heroes will be selected for special awards at a prestigious ceremony at the end of the year. This event is a great way to celebrate and recognise all of your work completed throughout the year. Sign up to receive the monthly Climate Ambassador Newsletter!